(Photo: LWF)Dadaab is the world's largest cluster of refugee camps, with a population of more than 350,000 people. At its Kambioos camp, the Lutheran World Federation provides dedicated areas for girls that offer activities and protection. Jesuit Refugee Service, the Lutheran World Federation and World Vision are among groups urging the Kenyan government to reconsider its intention to close the world's biggest refugee camp. The Kenyan government on May 6 said it was closing down the Dadaab camp in the northeast and Kakuma in the northwest and that it will disband its Department for Refugee Affairs. "Shutting down the refugee camps will mean increased protection risks for thousands of refugees and asylum seekers – the majority of who are women, children and unaccompanied minors," 11 NGOs said in a joint statement on May 10. They called on Kenya to continue to uphold the protection and rights of refugees, many of who would be prone to human rights violations. Kenya's Interior Ministry cited "immense security challenges" and the slow pace of Somali refugee repatriation as factors for the decision that "hosting of refugees has to come to an end." It said Dadaab and Kakuma camps would be closed "within the shortest time possible." The NGOs assert that an abrupt closure of the two camps could trigger a humanitarian catastrophe for East Africa as other countries in the region are already shouldering huge refugee populations. The NGOs signing th statement include Norwegian Refugee Council, Oxfam and Save the Children. They encouraged the government to continue with its sustainable approaches, such as increased policing in the camps and host communities to facilitate timely information sharing, mitigation and response to security threats. "We acknowledge the concerns raised by the Government of Kenya and do share in the need to reinforce security in the country as security is an integral part of any nation and for providing a conducive asylum environment," said the NGOs. Kenya hosts nearly 600,000 refugees mainly in the camps at Dadaab, which houses mainly Somalis and Kakuma with mostly South Sudanese, Sudanese and Somalis. The camps were set up in the early 1990s and now have the population of cities. 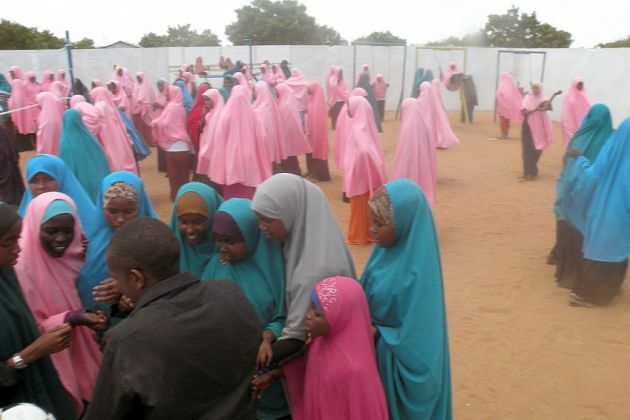 The figure includes over 400,000 Somalis, according to the United Nations High Commissioner for Refugees (UNHCR), mainly in Dadaab. Kakuma has around 185,000 refugees, mostly South Sudanese, Sudanese and Somalis. Dadaab is the world's largest cluster of refugee camps, with a population of more than 350,000 people. At its Kambioos camp, the Lutheran World Federation provides dedicated areas for girls that offer activities and protection. "Refugee laws and asylum regimes are under attack and especially in Europe," said the NGOs. "Kenya should not follow that path but instead continue to host refugees while getting much more support to do so from the international community." LWF General Secretary Rev. Martin Junge in a statement expressed concern over the deteriorating commitment of the international community of States to uphold their duty to protect refugees, as enshrined in the Geneva Refugee Convention. "Signatories to this Convention shouldn't act as if they had never done so, nor as if this Convention didn't exist," he said.